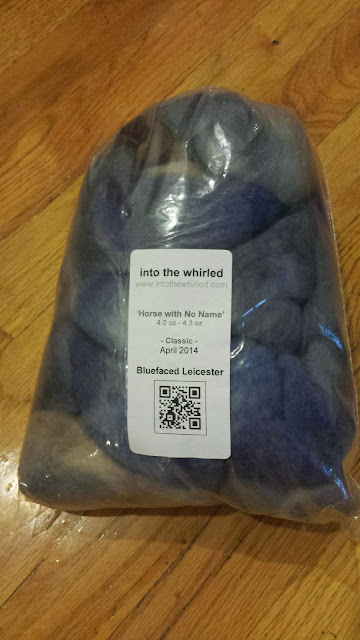 When I started my Into the Whirled subscription, I promised myself that I would stick to spinning the fiber shipments each month or I would cancel my subscription. Well then this happened. 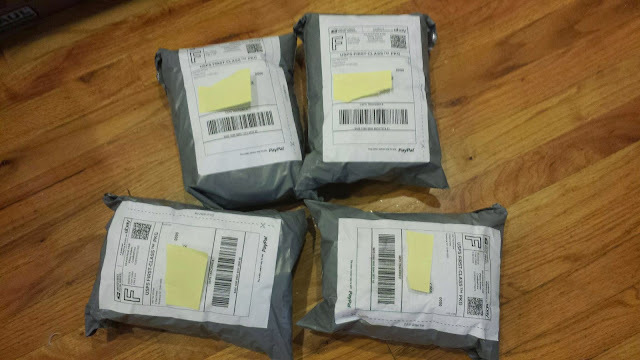 Since my move, I haven't even opened the last 4 bags of fiber. Some of this is due to the move itself, and some is due to the fact that it is summer and I have been doing a lot of travelling. Well the excuses are over. It is time for me to open up the fiber and do something with it. 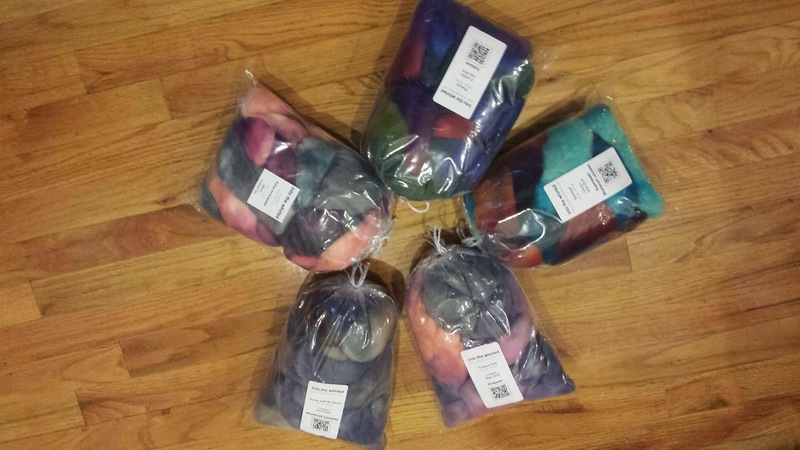 When I opened up the bags, I was all gleeful with the colors and fibers types presented. (This is why Into the Whirled is so great, the fibers change from month to month.) I have never spun polwarth before. 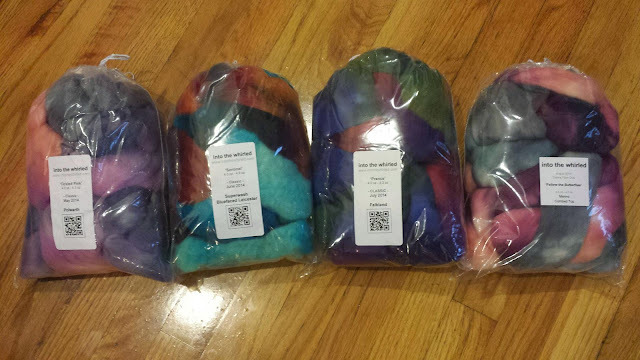 I am a HUGE fab of BFL and there is some that is SUPERWASH. Talk about tempting. Oh yeah, there is a 5th bag of fiber that I haven't used yet. Where did the time go? My spinning wheel has been calling to me. Hopefully the very mobile Lucky won't disrupt my spinning. Which one do you think I'll spin first? Will I go in order of month or will I pick the one that tempts me the most? Stay tuned to find out!